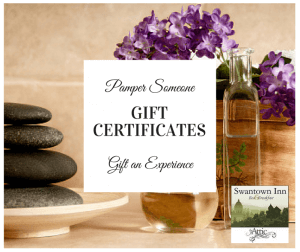 Our Olympia Day Spa, formerly known as The Attic Day Spa is now the Swantown Inn & Spa. 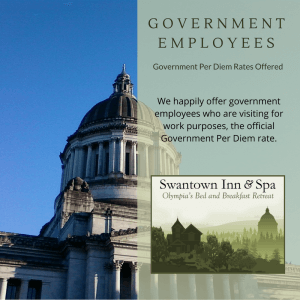 Located in Olympia Washington, it is a unique retreat that compliments our Bed & Breakfast. You do not have to be an overnight guest to use the day spa, but once you have spent a night in our luxury handmade beds you will find yourself searching for excuses to stay! We have just become a “no tip” or “gratuity inclusive” spa. This means you will never be asked for gratuity, it is built in to our pricing. 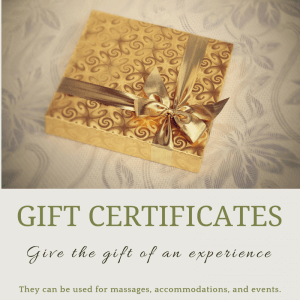 We believe this takes out the guesswork and truly reflects the value our Licensed Massage Therapists bring to their work. If you are looking for massage in Olympia, try us out! 10am, last appointment at 4pm. The three most popular services are listed below. For a full list see our Services page. Our overnight guests enjoy a $20 credit per person. For independent reviews please refer to Yelp, Google, Facebook.